We learned a new word: "vog." It is a mixture of water vapor, carbon dioxide, and sulphur dioxide. 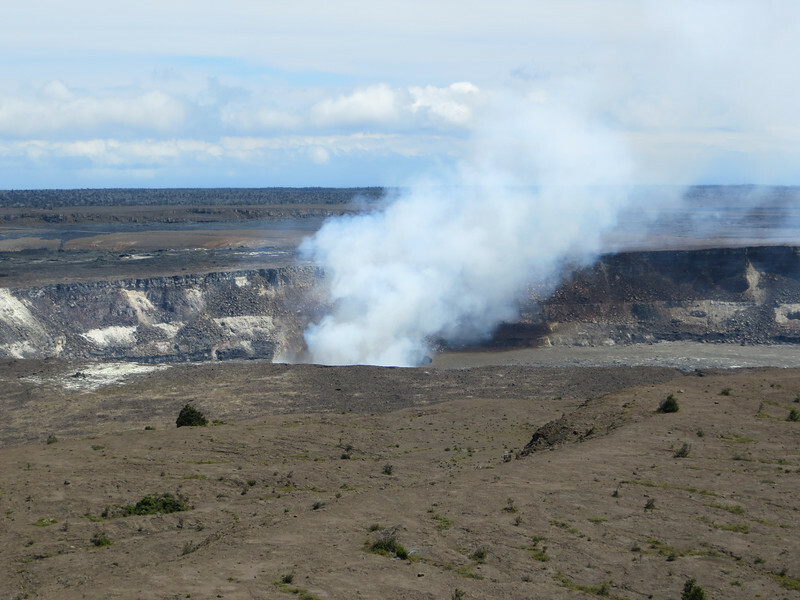 (My guidebook says Kilauea emits 2,500 tons of sulphur dioxide every day.) The gases react with sunlight, oxygen, dust particles, etc. to form a variety of unpleasant compounds. The tradewinds blow toward the southwest and carry the vog down the coast, around Mauna Loa at the bottom, and up the coast to Kona. It can really bother people, apparently, but I wasn't aware of it while we were there.